Those words come to us from the Apostle Paul in his letter to the Philippians. When I saw that picture, what I saw was Ryan smiling at his family, but also smiling knowing that God is watching over him. The children are so knowing, even at just over 4 months — Ryan knows he has God on his side! My friends, looking at Ryan in that picture convicts me of all the times when I could be more Joyous than I am. My prayer is that I will learn to love God more than ever, and be Joyous in all circumstances, good or bad. Now, please read and pray for our prayer requests and praises, and thanks! My friend Kelly is having surgery — I don’t know the details of when, where, and how serious — but what I do know is that the surgery and recovery timetable is significant enough that it will force her to have to change her plans for her next Disney trip in June. Please pray for Kelly, for her successful surgery, for a great recovery, and for her light at the end of the tunnel being the day she steps through that tunnel into Town Square in the Magic Kingdom. God knows all the details, and will take it from there. Thanks everyone! A prayer request as seen on my Twitter feed:Pray for those who are struggling against the demons of addiction, temptation, and depression. The devil takes these forms daily! My friend Kourtney left me an update on her nephew Ryan that I’m sharing with you. Prayers are continued to be needed for that little guy, here is what she wrote me:Ryan got to go home for a couple of days at the end of January. Unfortunately, he went into respiratory distress and had to be airlifted back to Children’s Hospital. He still has his trach and NG tube so they’re not sure what the problem is. They decided to keep him until his next surgery (originally scheduled for March 6th) just in case there were any more problems. On Friday they decided that maybe he’s outgrown his shunt and that could be what’s wrong. He’ll be going in to the cath lab today with the assumption that he will have his 3rd open heart surgery tomorrow. The plan is a 3-4 week recovery time after this surgery and then home (hopefully without any machines)! However, we’ve learned that Ryan has his own plan and all we can do is hold our breath and wait. This poor little guy has been in the hospital since the day he was born at the end of September. All we want is for him to be home with his parents and brother. thank you again for your support and prayers and please be thinking of him tomorrow as he undergoes his 3rd open heart surgery! Heavenly Father, the wonder and beauty of Ryan’s delightful smile shows us that You are keeping him close to You. Despite his struggles, still he is able to find joy in his life. Father, we know that You have Ryan and his family’s best interests in mind, and that Your Will will be done for Ryan. Please continue to shower him with Your love, keep healing him as we know You are, and keep close to his family as they struggle to keep strong in the face of everything that is going on. Please have your Peace descend upon Ryan, his family, and all of his many followers, and guide the skillful hands of Ryan’s surgical team during this latest trial for him. 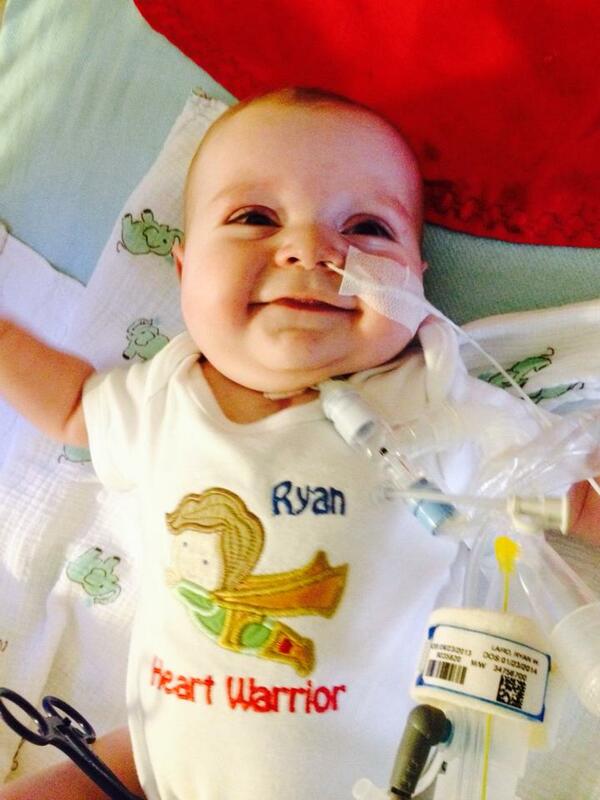 Ryan is a miracle baby, and every trial that he faces is one more miracle that You, Father, grant for him. We love you, and ask these things in the name of Your Son Jesus, the wonderful Healer, with Thanksgiving, today and every day. Amen! My friend Tabitha has a prayer request. Here is what she wrote on Facebook:OK, I have a client that I have been helping that has cancer and now she needs prayers more than ever! She had a cruise scheduled for next month but I just got an e-mail from a friend of hers that she is in the hospital having trouble breathing with water on her brain. Please pray for her and her 17 year old daughter and her parents. I so wanted to make this a special trip for her! Please pray for her client, for her health, her family, her Peace, her comfort, her strength, and that for her family as well. Thank you everyone for praying! Update on my client. I talked to her dad and he said she is in bad shape and he doesn’t think she will make it out of the hospital. I’m sorry Tabitha — I’m praying for her salvation as well as for God’s Healing touch to come to her and her family. It is an absolutely terrible thing to go through. Please tell her Dad that there are people all over the world praying for his little girl and all of them. Thanks my friend, if you need anything at all please hit me up. Please pray for her salvation as well as for her healing, and please pray prayers of Peace, Comfort, and Strength for her and all of her family. We know that it is in God’s Hands and that He will do for her and her family what is best for them, but please keep the prayers coming. Thanks everyone. My friend Chelsea would like prayers lifted up for her cousin. She requested these a while back, but we’re going to refresh the request now too. Here is what she wrote me:Also a few months ago I asked for prayer for my cousin who tore her ACL two weeks before her wedding… Not sure if you remember but just wanted to thank you again for praying… Her ACL is slowly healing… But her fiancé called the wedding off 10 days before the wedding…. She was crushed but is slowly healing. Continued prayers for my friend Chelsea’s cousin — she’s experiencing complications from her ACL surgery, so please send up healing prayers for her. Thanks everyone! Prayers for my friend Heidi, who is about to go under some arm surgery today. Here is what she wrote:I have to be at the surgery center at 11:15 this morning. I think I better go wake Ashley to run an intervention for me. I keep wanting to get up and make my morning coffee (but I’m not allowed to eat or drink). Please pray that this “Manipulation Under Anesthesia” is finally the first step in getting this arm healed! Please pray for my niece Stephanie, who is going through some serious health concerns and needs to have surgery. God knows all the details, so please pray for healing for Stephanie. Praise goes to God for my Dad’s successful procedure on Wednesday! Thank you God for seeing Dad through that safely! and forgive us our Trespasses, as we forgive those that trespass against us. Hello my friends, and welcome to this week’s Prayers for the Week post. Today I’m writing about a very hard thing for some of us — the concept of trust, particularly when it comes to trusting God. I don’t know about you, but for my human self, I find it very hard to release control of a situation and trust that God will take care of it. Do you find the same problem to be the case for you? A short while ago, my daughter was subjected to a bullying attack, with criticism being directed at her by a person that very much needs our prayers. My daughter endured it as long as she could, then she reacted, first physically, and then with emotional tears of anguish. This post is dedicated to her, but also to her Mom and I and all of her family and friends that love her — and all of you, too, because we all are in a situation where we have to trust that God will take care of a situation for us. For my particular situation involving my daughter, there are certainly things that we as parents and friends can do for those that hurt, but there are also times when we need to try not to control the whole situation, and step back so that God can take over and work His healing touch on the situation. So, my friends, when I found this image and, more importantly, the powerful words of Isaiah 41:10, I knew that I had found my focus for this week’s post. Trust…such a simple five letter word, not a $20 word by any stretch of the imagination at all — and yet, one of the most powerful words we know, particularly when it comes to trusting God. Do you have a situation in your life where you need to trust God, and are having a hard time doing that? Please leave it with us as a prayer comment, and we will faithfully pray for you to find that trust, so that you can let God work His Will on you and your situation. Now, please read through these prayer requests and praises, and pray over them throughout the week. Thank you for stopping by weekly — it means the world to me that you pray for all of our requests. Lord, please give Torri’s Grandma the love and comfort she needs, as well as Your healing to make her feel better. It certainly sounds like You have been with her already, as she is on the mend, but please also grant Your Peace to her family and friends as well. It is in the name of Your Son Jesus that I pray. Amen.Later, we had this update from Torri: Thank you so much for the prayers. She has been released from the hospital and sent to rehab to get her up and walking again. We definitely felt the prayers. Update on friend’s son Ben: The Good, The Bad, The Plan, Their Needs, Prayer RequestsI would like to personally thank the many people who are praying for Ben and who have asked me how he is doing. It means a lot to me and to his family. (This one is written by me rather than Ben’s mom Jenny)The Good: Ben finally has an accurate diagnosis.The Bad: The Kid has cancer. Anaplastic Large Cell Lymphoma to be exact. (his previous diagnosis of Epstein Barr and or pneumonia were inaccurate)The Plan: Ben will undergo several (hopefully under 7) rounds of treatment. Each round will consist of one week in the hospital getting chemo, one week at home recovering, and one week getting ready to do it all over again.At least the first two rounds of treatment will be done in the hospital, so Ben will not be going home until at least Valentine’s day.Their Needs: Prayers are still their number one need. Once Ben is settled into the pediatric oncology ward this will change. I will keep you posted. I do have an address if you wish to send Ben or his family a card. Send me a PM and I will get it to you. *Their local church in MN will have a prayer vigil on Thurs 1/16 from 6-7 if you would like to join in from home. *Ben is still very sick. He has skin lesions, and is retaining fluid due to the cancer. That includes fluid in his lungs which causes respiratory distress. Please pray that these symptoms are under control quickly so he will no longer need to be intubated and sedated. *Ben is still sedated and is unaware of his diagnosis and the path ahead. Please pray for his strength as he learns what is going on and his parent’s strength as they tell him. *Please pray for Ben’s parents. Pray for their strength, patience, health, and good humor. Someone will need to be with Ben at all times through this process. *Please pray that Ben’s family stays healthy. Due to his compromised immune system, they will not be able to be around Ben if they are sick. *Please pray for patience and understanding on the part of Ben’s extended family and friends. Ben’s visitors will be limited and there will be strict rules in place in order to keep him healthy. Here is the latest update for young Ben. Thank you Kuleen for sharing this so we can all lift him up to the Lord! Sorry for not updating last night, we were exhausted.Ben is responding well to his chemo medications at this point. We are pleased with his progress. The skin lesions have gotten better, he does not look like a kid with raging chicken pox anymore. His neck and throat are still swollen, but they are not as bad as before. The physical therapist thought his range of motion in his arm and shoulder was a bit better today and they are eager to get him up and moving. His chest tube has been removed as well, that was fun to see. It drained a liter of fluid in a very short period of time and then it didn’t do anything after that. Today was a day of testing his lungs and seeing what he can do on his own. He did a ventilator sprint this morning where they turned it off for two hours and made him exercise his lungs. He did well and the doctors were pleased. He is currently doing another one and he is again doing well. The goal is to get him extubated soon, so they want his lungs to show off. There is rumor of Thursday morning or Friday morning being the time, but we won’t know until it happens. His chemo meds have not had any negative side effects yet. He takes Zofran to battle upset stomach and a patch behind his ear that I can’t spell to help as well. We have been told that future rounds will not be this easy, but so far things have gone well. Our oncologist, Dr. Chu, is pleased with his progress on the meds. When the oncologist is happy, we are happy. We are still in the PICU and we will be until Ben can prove that he can breathe on his own without much support. The concern with this is that he still has significant coughing spells and I worry about his oxygen saturation at that point. We will cross that bridge when we get there. Eventually we will move to the 7th floor, which is where all of the hematology/oncology patients are located. We were able to take a quick tour tonight and it felt good to see what our next destination is going to look like. He will be able to have his own bed sheets and pillowcases, so if you are looking for something fun, I’m sure that he would love some new and fun pillowcases. And what he can’t use, we will share with others. We will be cutting his hair in the next week or two. We ask that his friends don’t cut theirs yet, as some kids with cancer really don’t want to see it reflected back at them all the time. We will know more about that after he is able to talk with us. Teddy is ready to go, so we know he has at least one person joining him. Ellie has also volunteered to shave her head and donate her hair, I’m not nearly as excited about that one. Ben probably won’t appreciate it either. We have heard that the kids at his school are going to wear blue on Friday to show that they are thinking about him. We hope that someone takes a few pictures to share with us. I know that he will enjoy them eventually. We have so many people to thank already in this journey, we are humbled by your love. Please forgive us if we forget to thank you, but please know that we greatly appreciate your thoughts, love, and prayers. We anticipate attending the prayer vigil at church on Thursday night. Depending on how things go here at the hospital and how the roads are, we will be there. Daily prayers for healing, strength, Peace, and comfort for Ben and all of his family. If you can support them in a financial way, that will be greatly appreciated also, but at the least, please pray for them. Thank you for all the prayers you have lifted up for him already! I saw this tweet just a moment ago — pray for him and his wife please! Please pray for the Rector of St. Michael’s Episcopal Church. He had a heart attack and had to have open heart surgery. Please pray for his healing and for the Peace of God upon him and his family. Please pray for my friend Lesley, who has had a death in her family. Here is what she wrote on Facebook: Heaven gained an amazing angel tonight. Holly thank you for being the best aunt, playmate, friend and inspiration a girl could ask for! Enjoy your perfect body in heaven. We love you !!! Please pray for the Peace, Comfort, and Strength of God to descend upon them in their grief, and shower them with God’s Love in the days and weeks to come. For those that haven’t seen Janet’s post, we are headed to be with my mother. Hospice has started her on drugs to keep her comfortable. Unfortunately, it seems her end is near. Please keep her in your prayers. I’m asking for prayers for a precious family that is needing peace and comfort to surround them as the enter a very difficult time. Lastly, please pray for my Brother Alex and his family. His Mom and oldest brother live in Iran, and are under persecution from non-Christians, so please pray for their safety and continued faith that God will see them through their struggles. It’s a hard place to be in, but from a Christian perspective, being in a persecuted nation shows a great love for God! Big praise this past week for the start of our Houses of Prayer to pray for Edenton Street UMC and it’s open doors campaign. We went to my friend Monica’s house and had a great fellowship and prayer session with fellow members as well as a great time praying with our Lord. We’ll continue for the next three weeks, so please pray for us as we submit these plans to God to see if it is His Will that they be followed through on. Thank you everyone! I give praise for God putting Cindy and Sophie in my life. I also praise God for my family and the love that we have for each other regardless of the distance between us. I give thanks for the Men’s Study and the effect it has had on my walk with God. I give praise for Steph and Shane and their love and marriage. I also give praise for Brett and Tara, and their love and plans going forward to get married. I also give praise for Leslie and Matt, who are getting married on Valentine’s Day! In the answered prayers department, I give big praise to God for putting the right job in my Sister-in-Christ Sheila’s hands. She has been looking for a long time, but she didn’t let that stop her from finding the job that is right for her. 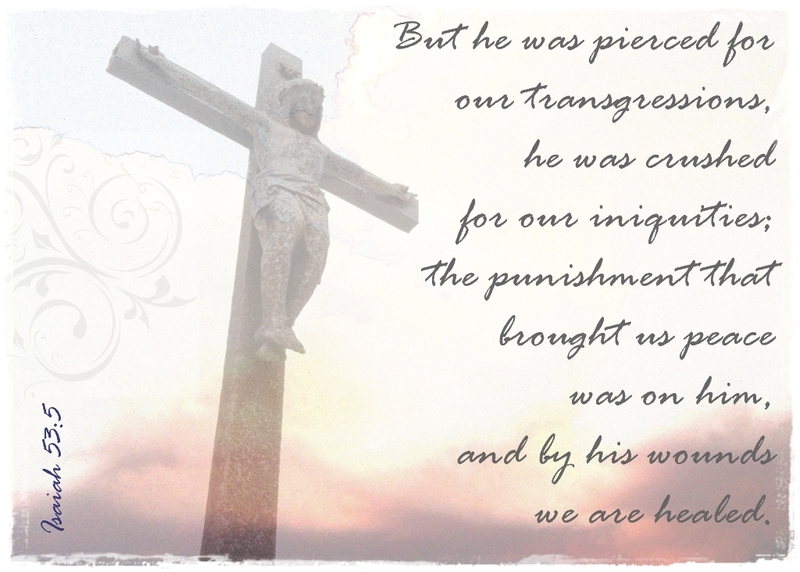 Lastly, I give highest praise to God, for loving me enough that He gave us His Son Jesus to die on the cross for our sins. Good morning, my friends, and Merry Christmas to you all! Today is Christmas Day, one of the most important days in the Christian Calendar, and I hope you all are waking up to a beautiful day, full of love, hope, peace, goodwill, and joy. 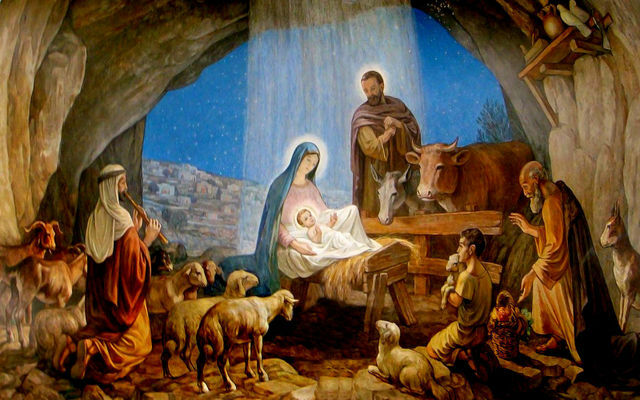 While I hope that you all have had a visit from Santa today, I also hope that you all remember that today is the birthday of my Lord, Jesus, and that you keep Him in mind on this day. If He wasn’t born, none of this would be happening today. For my non-Christian readers, I hope you have had a wonderful holiday season, and that you have a wonderful day, whether you celebrate Christmas or not. As we begin to close out the 2013 calendar year, I want to take the time this day to thank all of you — our readers — for stopping by and visiting as often as you do. It is an honor to me that you take time out of your day — and your Disney planning — to visit with us, and I am humbled that you do so, particularly when there are so many incredible Disney fan sites out there! Thank you very much, it truly warms my heart that you visit with us. Once again, my friends, Merry Christmas, from all of us here at My Dreams of Disney, to all of you. May you experience the true joy that the season brings, and if there is anything at all that I can do for you, please do not hesitate to comment here, or on my Facebook Page, or even send me an email to mickey@mydreamsofdisney.com. God Bless Us, everyone! Hello my friends, and welcome to this week’s Prayers for the Week post. As I was looking at my Bible, I came to this verse — and I realized how important a verse it is in all of our lives. In a nutshell, that is what it all boils down to, isn’t it? Far too often, we depend on ourselves, and the problems we face seem to grow by leaps and bounds, don’t they? In my life, I have found that as soon as I turn my cares over to the Lord, that day becomes better, more manageable, less stressful for me. But, just like with Noah found out after the flood, far too easily we fall into temptation again, and then we sin. In my Bible Study we are studying the book of Genesis, and last week we finished our discussion on the Flood. We had already learned how steadfast Noah was in following the directives given to him by God. He spent countless years working on the ark, he witnessed and called the people to repentance at the same time, and when the rains came, he listened to God and got on the ark when he was told, and stayed on until God told him to get off. But, just like us, once he was back on solid ground, and was working and farming and making wine, he fell into temptation, got drunk, naked, and sinned. Isn’t it amazing how incredibly easy it is for a man such as Noah to fall into sin? It is the same for you and me. 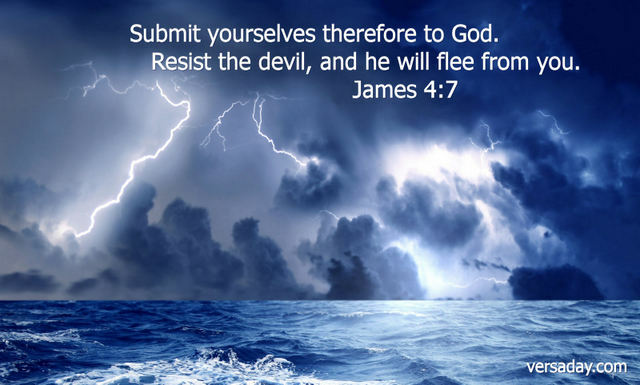 Sin is ever present, and the only way to fight it and the devil as he tries to put himself between us and God is to submit to God, just as James 4:7 tells us. My friends, remember this verse this week, and report back next week to let us know if your life went easier this week. Now, please take the time to read and pray for these requests and lift up the praises! I just heard that the sweet boy in this picture with me was in a VERY SERIOUS motorcycle accident this morning – broken neck, two broken legs, and lots of other injuries. Please say a prayer – or lots of prayers – for Levi. My friend has an unspoken prayer request. This reminds me that we don’t need to know the details, that God does know them, and that He will be able to answer the call. So, please pray with me:“Heavenly Father, we sometimes forget that there are millions and millions of unspoken prayer requests. It is easy to pray for all of these that we see listed here, but we also need to pray for those that don’t voice their requests. Lord, please lift up all of those that are hurting, that are suffering, but haven’t found the courage to speak up to be heard. Please grant them Your Peace, Comfort, and Strength so that they may be able to deal with their problems with You leading them, and not try and tackle their problems on their own. Lord, help them to see that with You all things are possible. It is in the name of Your Son Jesus that we pray with thanksgiving. Amen!I have learned that my friend’s Uncle has had a heart attack. Please also pray healing prayers for her Uncle, in addition to praying for the skill of the medical team treating him, and for the rest of what I wrote previously. Thanks everyone! My Dreams of Disney reader Katy left this comment:My little 17 month old fell last night and needed stitches on her forehead. Same place that she hit during the summer and needed stitches. I feel awful. I know it’s not a super important request but I just pray she doesn’t hurt herself there again. My Dreams of Disney reader Jerry left this comment with his prayer request:My prayers this week are for the people of the Philippines.Please pray for the people of the Philippines in this time of horrific tribulation! Thank you everyone! My Dreams of Disney reader Christine echoed what Jerry said:my prayers are for my motherland natives and family in the Philippines. Amen. On a personal note, please lift up my family, Uncle Bill, Aunt Joan, and my cousins David, Bob, and Jennifer, as they mourn their son and brother Chuck. The memorial and visitation for Chuck was on Friday November 15th, on what would have been his 50th birthday, so thank you for lifting up the family with prayers for Peace, comfort, and strength at this time. Thank you all. Prayers for my friend Jodi, who is in transition from Texas to Florida and their new house! Moving is always stressful, so please pray that things would go well, and that they would be able to get settled in quickly and without headache! My Dreams of Disney reader Amber wrote this praise — thank you, Amber! I love the prayers of the week post you do, it is awesome! You seem to be a thoughtful, caring amazing person to take the time to write this and ask for everyone to pray for these precious people! Thank you! Thank you to all my aunts, uncles, cousins, nephews, nieces, friends and friends of Chuck. Today was a day to remember the good times and help each other with healing from the pain of loosing of a loved one. I do hope we can all get together again soon, just for the fun of it!! And I know many people weren’t able to make it, but you were a part of Chuck’s life, too, and I thank you for that. And thank you so much, Lori, for being my rock for me to lean on and cry. Without you, I don’t know how I would have made it through these rough waters. I told you this the other night, and I still feel the same way. Love you!! Lastly, special praise goes out to everyone that participated in the 2nd Annual Edenton Street UMC Block Party! It was a big success, full of fellowship, fun, and praise for God! My friends, thank you for taking the time each week to pray for these requests! It means the world to everyone that takes the time and has the courage to share their fears, so the fact that you are praying for them means a great deal to me. Please, please, please, if you have a prayer request, leave us a comment so that we can pray for you too! Thank you, and have a blessed day! My friends, the world is full of trouble, turmoil, and sorrow, and it seems like there was a whole heap of it piled up this week. When I am troubled, I try to remember who my Lord and Savior is, just in case I’ve forgotten; His name is Jesus, and no greater price was ever paid for me than the price that He paid for me. Never forget that Jesus Saves — if we call on Him to do so on our behalf! Like I said, there is a lot of grief right now — and some of it resides in the heart of little Foley, Alabama, right now. Let me tell you about a Shining Star named Meleney, and how, at the tender young age of 20, she is staring death right in the face. Meleney was the student of my friend Amanda and her husband Carl; she went to the high school that they work at. She is a wonderful person, and she is surrounded by wonderful people that love her and care deeply for her. However, she is dying, stricken with a form of cancer called Ewing’s Sarcoma, and she is dealing with the thought of not being with us very much longer — perhaps even days. I can’t really describe it as well as Amanda did, so I’m sharing her post from the other day; in it, there is a call to action, if you are able, to donate to the costs that this young girl and her family have had to endure. Please read the post, donate if you can, but most of all, pray. That is what we are here for. Pray for Meleney, pray for her Peace, her Comfort, her Strength; pray that she KNOWS Jesus, and that He KNOWS her; pray for her salvation; pray for her family; but most of all, pray boldly for a cure, if it is God’s Will that this would happen. Pray. My niece Stephanie had surgery last week. She has been struggling with some issues for too long now, and the procedure they did was the first step — and hopefully the biggest step — in getting her back to the healthy, vibrant, loving young lady that I know her to be. She is a strong Christian, but I’m certain that she is ready for God to take this tribulation out of her life. Please pray for her recovery, for her health, that it be turned for the better now, and that she would be able to heal quickly and be back to her old self in no time. Thank you. Yesterday was the 9th Anniversary of my Uncle Phil’s passing — and his ascension to Heaven. The days speed quickly by, and it really doesn’t seem like it has been nine years — but to my cousins Beth, Anne, Cathy, and my Aunt Clare, I’m certain that it seems to them like the longest nine years of their lives. They have learned how to continue on with out their Dad/Husband in their lives; but they also know that he is watching over them, and that they will see him again. Still, each anniversary is a day that they don’t want to see coming, so please think of them, and pray for their comfort this weekend. I miss my Uncle Phil — he immediately took to my wife Cindy, going out of his way to thank her for naming our little girl after his Mom — so thank you for thinking of us and praying for us. Lord, there are many people who don’t have the courage or the voice to express their prayer requests — so please lift up their unspoken requests and deal with those also. Lord, you know all, so you know the words to the prayers even when we can’t express them. Hear their unspoken prayers, and grant us all the Peace that only YOU can provide. Lord, throughout the turmoil that goes on, You are there for us if we but call on You. It seems that it is easier for us to call on You when we are in trouble, but I praise you and give thanks for You each and every day, in the good days and the bad. Lord, please help us to remember You during the days when there is no trouble — so that we may thank You for the good we have in our lives! Lord, thank you also for all of my blessings; my family, Cindy, Sophie, my parents, sister, and everyone else. Lord, thank you for the jobs that we have, and the ability we have to provide for our families. Lord, thank you for my brothers and sisters in Christ, starting with the men from the Men’s Study, but certainly not excluding anyone else. Lord, thank you for the freedom that we have because of the men and women of our armed forces, past and present, who give of themselves — and in some cases paid the ultimate price — so that we would be free. Lord, thank you for my niece Stephanie, who is now an Army Wife, and her husband Shane, who continues to excel in his basic training and advanced infantry training. Please see him safely home on time next month! Lord, there are so many other things to thank you for, you know all that is in my heart, and I thank you for your Spirit that you gave to me to guide me on my journey! May we all have a great week ahead, but not forget that you are the reason for our successes; and if we ignore you, we are the reason our week may not be as easy as it should be. Thank you for hearing our prayers and praises, Lord! It is in your name that we pray. Amen. Prayers for the Week – Praises!